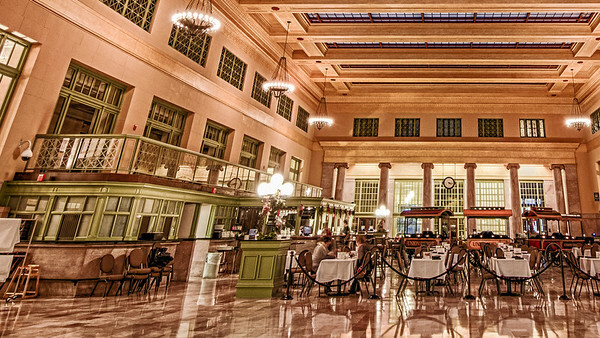 I went to the newly renovated Union Depot in St. Paul, Minnesota. 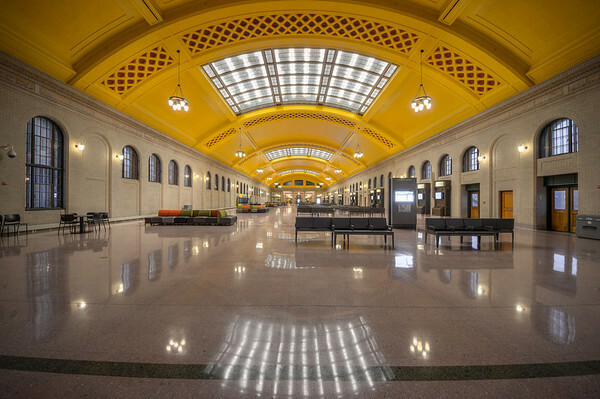 $243 million was spent to update and create a transit hub for trains, buses, light rail and maybe a high speed train someday. It was a good time to take pictures as there is not a lot of foot traffic. Mostly just curious visitors visting for the first time or comparing to how they remember it. Here’s Christo’s restaurant with a few patrons getting a jump on the dinner rush. Seemed like a nice atmosphere for a restaurant. Outside is a newly built light rail station. It isn’t in operation yet. 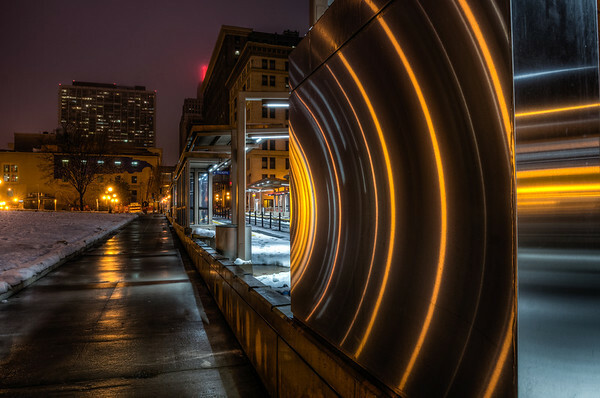 I caught some interesting reflections off the station. some great shots from you man.. Very cool Ronald! Congrats on your new home and you’ve got a great location there.